Map showing location of the current 2D and recent 3D surveys with blocks available in the 12th round. Broad bandwidth data will not only increase resolution and improve characterization of the turbidite systems that represent potential exploration targets, it also provides deep imaging penetration with low frequencies to help describe the nature of the crust. New insights from this data will expand and update CGG’s Gabon South Basin JumpStart™ integrated geoscience package. 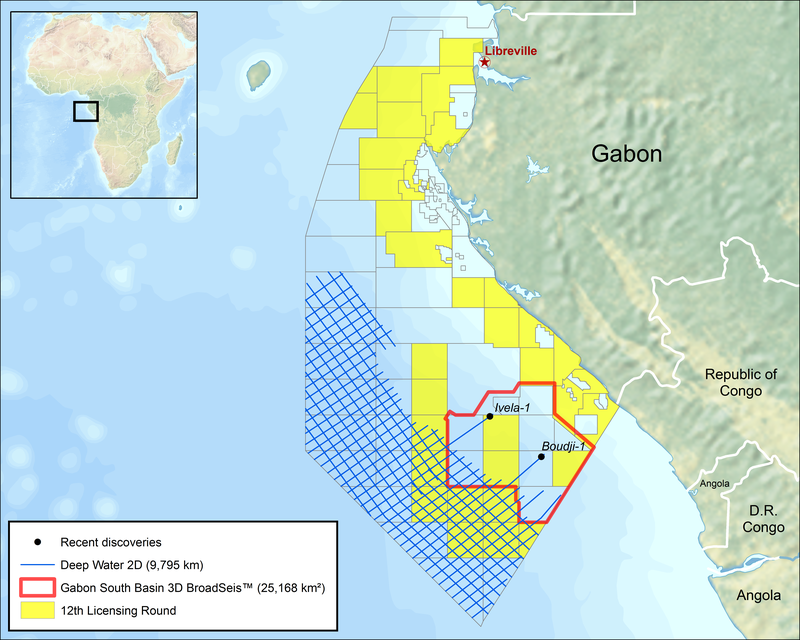 Sophie Zurquiyah, CEO, CGG, said: “The vast offshore acreage of Gabon includes unexplored areas with good potential for a hydrocarbon system. However, there is often not enough high-quality geological and geophysical data to effectively reduce the exploration risks.